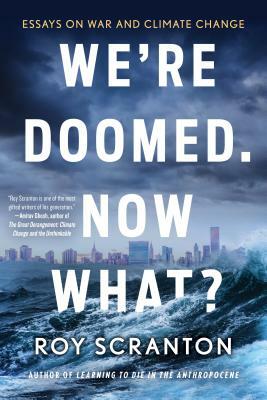 Roy Scranton, editor of Fire and Forget, returns to Elliott Bay today to speak about the accelerating effects of climate change, of war and of loss, some of which he writes about in the essays collected in We're Doomed. Now What? : Essays on War and Climate Change (Soho Press). 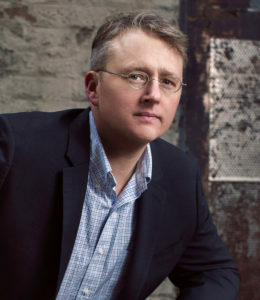 Whether writing about sailing through the melting Arctic, preparing for Houston’s next big storm, watching Star Wars, or going back to the streets of Baghdad he once patrolled as a soldier, Roy Scranton handles his subjects with the same electric, philosophical, demotic touch that he brought to his groundbreaking New York Times essay, Learning How to Die in the Anthropocene. He appears in conversation with Miranda Mellis and Eirik Steinhoff, both of whom teach at Evergreen State College. Miranda Mellis is the author of The Instead, and The Spokes (Solid Objects). Eirik Steinhoff is the editor of Black Box: A Record of the Catastrophe.